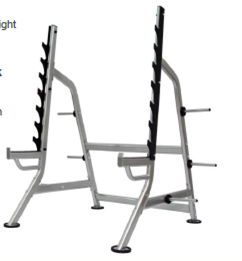 (Our New Guide Price €571 – €650) This NEW Heavy Duty Multi Press Walk In Squat Rack is an extremely versatile piece of equipment. Made of Heavy Duty construction, it has multiple bar rests and adjustable spotter catchers for added safety. A fantastic addition to any home gym.